Who is McGraw-Hill Education Math? Spring is Winding Down . . . Now What? Welcome to the premier edition of the McGraw-Hill Education Math Technology Newsletter! We’ll be sending this out on a quarterly basis as a way of reaching out to the math community. We want to share ideas, generate conversation, and keep you informed about what’s going on behind the scenes at McGraw-Hill. Select a section of the newsletter from the tabs on the left. Read and enjoy! As the premier Learning Science Company, we believe that teaching and learning are part art, part science. That’s why we strive to continually improve our technologies in order to provide a better, more efficient learning experience. What does that learning experience look like for our math customers? It’s one with instructors at the core, and student success as the goal. Do you have the latest iPad? Would you like one? Answer a few questions about what learning science means to you and we’ll enter you into a raffle to win the device that’s still turning heads. We’ll also be sure to share the survey results in the next newsletter. What are you currently working on at ALEKS? 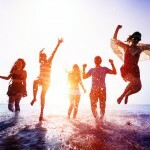 Spring is Winding Down… Now What? Before technology, how did your semesters typically end? Were you wondering how much students actually learned? Now that you’re using technology, you can geek out on all the data you’ve collected on student learning! Here’s some advice from our implementation expert Kim Moreno, on which data to review and how it can help you. Using ALEKS? Take a look at the ALEKS Pie Report. Is the class pie percentage what you expected at this point? Go to your ALEKS Progress Report and sort by “Detailed Progress History”. Compare the results of the Initial Knowledge Check with results of the latest Knowledge Check. Look at total time spent and note the learning rates. How does your students’ time, effort and progress relate to their final grade? Using Connect Math Hosted by ALEKS? Check out the Item Analysis Report in the Gradebook for your more important assignments. Which items had a low success rate or high average time? 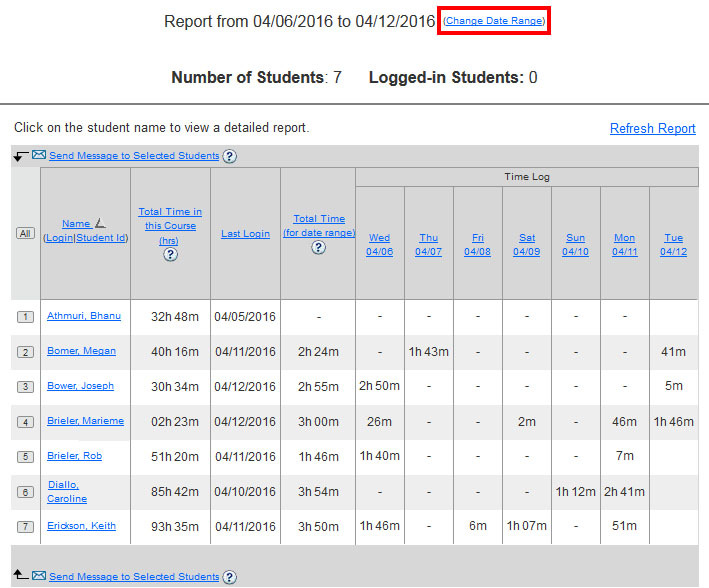 Use the Time Tracker Report to learn about student study habits. 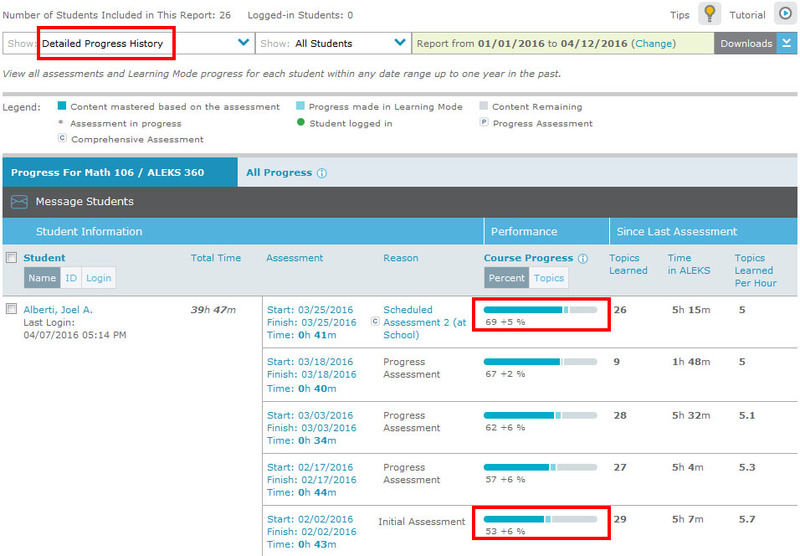 Changing the date range allows you to view this data for up to 20 weeks so you can compare learning progress over the semester. By the way, are you still struggling to get your students to read? Check out SmartBook to learn how it provides an interactive, adaptive reading and learning experience. If you’d like to talk to someone about your data and perhaps explore ideas on what to tweak for the fall semester, talk to your McGraw-Hill Sales Rep. They can help answer questions and also put you in touch with implementation experts. 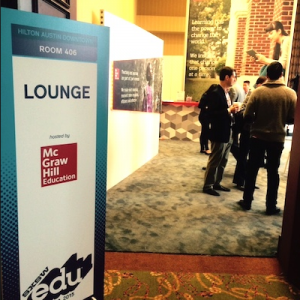 With only six years under its belt, SXSWedu is fast becoming THE EdTech conference to go to and McGraw-Hill had a big presence this year! Our hospitality suite was frequented by techies, teachers, bloggers, students, administrators, and whomever else was curious in seeing what a Learning Science company has to offer. Check out the recap, which includes a full interview with our Chief Digital Officer Stephen Laster. 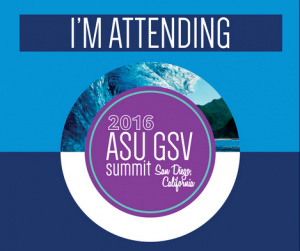 The ASU-GSV Summit is described as “the must-attend event for education technology investors.” This year it features Bill Gates as the keynote speaker and will be held in sunny San Diego next week. Among the other distinguished keynotes are our very own CEO David Levin and Chief Digital Officer Stephen Laster. Not only will McGraw-Hill leaders be speaking, but the prestigious Harold W. McGraw, Jr. Prize in Education will be presented at the conference. This award was founded in 1988 to honor those who dedicate their lives to advancing education. CLICK HERE to learn about the winners and how they are changing lives and ultimately changing the world. Every few weeks we make some nips, tucks, and tweaks to our digital learning platforms to enhance the experience for you and your students. There are too many to list here, so instead we’d like to just showcase the changes that you’ll notice the most . . . and appreciate the most. We’ve made some big changes to our math technologies over the last year. Have you taken advantage of these available updates? 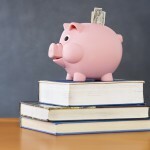 Students are tired of paying $$$$ for a textbook, and we get it. That’s why we offer a significantly cheaper loose-leaf version of the text associated with their ALEKS or Connect Math Hosted by ALEKS course. They can quickly purchase the text from within their student accounts, and get the loose-leaf within a few days. Did we mention shipping is free? If you like the idea of helping students save, then we recommend contacting your sales rep to make sure your fall orders are in order! Datasets making it harder than it should be for students in your statistics course? Students aren’t the most detail-oriented bunch, which is why having to manually type in datasets for statistics problems can create unnecessary headaches. Well not anymore! Relevant statistics problems in Connect Math Hosted by ALEKS now have a link to a downloadable Excel file containing the data from the problem. Students can use this file with most statistics software to perform the calculations required to solve the question. CLICK HERE to see why this new feature was such a HUGE hit at our latest symposium event! Are students overwhelmed with codes and log-ins from too many digital products? Great news! Connect Math Hosted by ALEKS was recently integrated with SmartBook, making it simple and easy to use both platforms in one course. Students now get one code and create one login. You can quickly create SmartBook assignments and access reports directly from within your ConnectMath account. 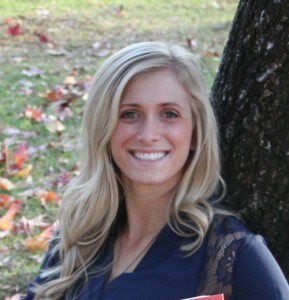 ALEKS PPL is more than just a placement tool, it’s Placement, Preparation and Learning! We reached out to those using ALEKS Placement, Preparation and Learning (ALEKS PPL) to see how their experience was going and what was on their wish list. They spoke and we listened. We made a few tweaks for them and now they have more control over their student cohort registration, as well as the ability to collect important demographic information on their student body. We have three very exciting updates that will be released by this summer. Stay tuned for more announcements regarding these enhancements. Want your own assignments in Connect Math Hosted by ALEKS? Use TestGen! TestGen will soon be integrated with Connect Math Hosted by ALEKS (end of April). What this means is that you can easily upload TestGen assignments into your ConnectMath course, and students can then access the assignments from within their account. Grades will sync seamlessly and you will have the ability to customize the TestGen assignments once loaded. ALEKS Placement, Preparation and Learning is getting a major facelift. The latest ALEKS student and instructor interfaces will soon be available for ALEKS PPL customers! This modern, clean, and fresh interface makes navigating the system as easy as pie. It’s also tablet-ready so you and your students can use it on the go. Accessibility is Our Focus at ALEKS. We know how important it is to provide the same opportunities to all students, regardless of who they and where they come from. That’s why we strive to keep accessibility at the top of our to-do list. Soon the latest ALEKS student interface will offer the accessibility mode that was previously only available in ALEKS Classic. Students who are visually-impaired will now have the opportunity to take advantage of new interface, which was designed to optimize learning. We are also making great strides in increasing the ALEKS content that is available in accessibility mode, including college algebra and precalculus topics. Spring is in full swing and your summer plans are beginning to take shape, but that doesn’t mean you can’t look ahead … here’s a sneak peek on what you can expect for the fall semester. We’ll have more information about these enhancements in the next newsletter. Late Submittal will finally be in Connect Math Hosted by ALEKS! Yes you read that correctly… the Late Submittal feature will be available in ConnectMath this fall! You’ll be able to apply late penalties for assignments completed after the due date, along with the ability to customize how and when penalties are applied. Students will no longer have to track you down to give you the “my dog ate my homework” excuse! Do more with SmartBook in your Connect Math Hosted by ALEKS Classes. Starting this fall, you’ll have more options to create, customize, and manage SmartBook assignments. This includes creating assignments for sub-sections of each chapter, and being able to assign chapters more than once. SmartBook is an interactive, personalized reading and learning experience. Students love it, and we hope you will too. 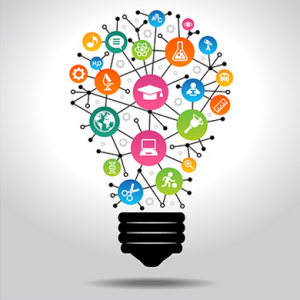 As a learning science company, we’re interested in what’s going on in the EdTech world. Here’s the latest scoop on hot topics, trends, and gadgets. I have previously used and I am currently using your books and “ALEKS” as ASA Math Instructor. My students have done tremendous work in “ALEKS” under my instructions. We still have a lot to do. I was wondering if the ALEKS gradebook will be tweaked anytime soon. The sliders for the grade can be hard to get adjusted to. Seems it would be easier if there was an ability to type in the exact grade cut-offs instead of using the sliders. I currently teach algebra a Middlesex County College in Edison, NJ, and have used ALEKS in my courses; however I’ve taught statistics using the Bluman text and have also used Learnsmart and want to be ready to teach the latest statistics courses. How can I obtain a free copy of Bluman or Navidi? Hi Gerard, I will have your McGraw-Hill rep contact you ASAP to get your copy of Bluman or Navidi. Thank you!